There is a current call for the Federal Government to negotiate with Boko Haram, a sect that has made the killing of other Nigerians a call to duty. 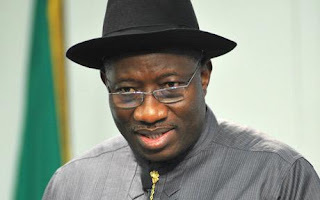 Goodluck Jonathan, President Federal Republic of Nigeria. On the basis of this call for dialogue, the new NSA is said to making moves to start a dialogue process with Boko Haram. The premise for negotiating with Boko Haram seems to be the fact that when Niger Delta militants carried out a series of violent attacks against the Nigerian state, dialogue was eventually used to resolve it. But, perhaps, the very faulty resolution option adopted by the Federal government for the Niger Delta crisis may be blamed for the Boko Haram monster the nation is currently facing. When a government makes it a policy to reward violence, the natural response is more violence. It is called positive reinforcement. When a positive action is rewarded, it creates a tendency for more positive actions, when negative action is negatively rewarded, it deters negative action but when the negative action is positively rewarded, it creates more negative action. The creation of a punishment system for negative behaviour in any society is as hold as humanity itself. This will not be changed in Nigeria. Unfortunately, the Nigerian government, since 1999 seem to have adopted a policy to reward insurgency with lucrative concessions to those who dare to rebel against the state. Asari Dokubo, Gani Adams, Government Tompolo are just a few Nigerians who have made fortunes from carrying guns against the state. Niger Delta militants carried guns against the Nigerian state, the government rewarded them with a very expensive peace plan that is costing the nation billions and is not sustainable in the long run. We all know it is a peace built like castles in the air, existing only because of the thriving bunkering business in the region, the monthly unearned income being paid out to former militants and the lucrative contracts to a few warlords that should be chilling in Nigerian prisons. Now we are talking of similar “peace” with Boko Haram. First, it is not possible to dialogue with Boko Haram. Their demand is not contiguous with the existence of Nigeria as a nation. Boko haram demand that “for Christians in Nigeria to know peace, they must accept Islam as the only true religion” rules out the possibility of coexistence with a large proportion of other Nigerians who do not share that faith and with a rightful claim to existence in Nigeria. You cannot negotiate away the faith of this other Nigerians or dilute their faith to make Boko Haram happy. Even more so, Boko Haram seems to practice a form of Islam that does not accommodate even other Muslims. 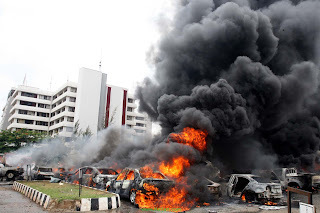 The close shave of the Shehu of Bornu with death by bombs as practiced by Boko Haram on Friday is further evidence that Boko Haram simply has no respect for life. If they have a religion, it is a religion that worships death, not God. Many Muslims have equally died from the bombing campaign of Boko Haram as have Christians who they claim to be fighting against. The only dialogue that may suit Boko Haram therefore may be the death of every Nigerian and the creation of a Boko Haram Empire for them to live in peace with their bombs just because there is no one else to bomb. 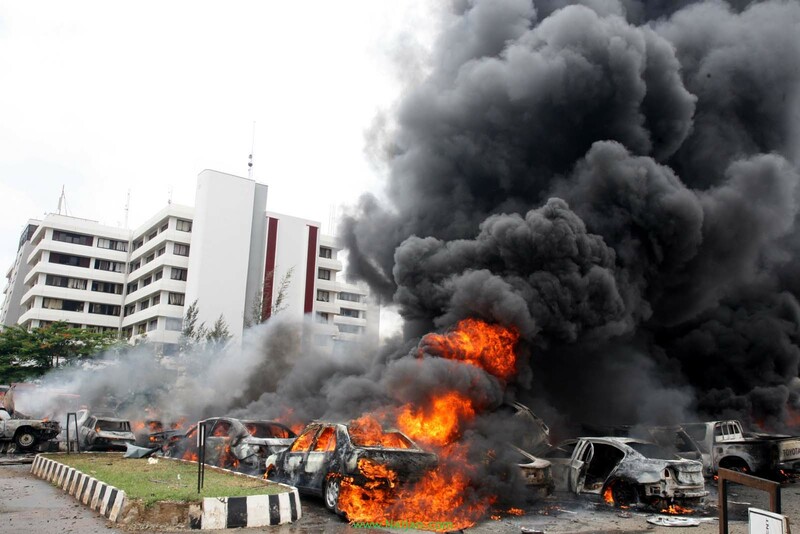 But even then, an enclave for Boko Haram will not give Nigeria peace. This is seen in places like Afghanistan, Somalia, and Pakistan where the existence of an enclave for fundamentalists have not stopped attacks on the neighbouring countries. The enclave becomes a safe haven for attacks and the breeding ground for fundamentalist who cannot tolerate the existence of alternative thinking. The logical conclusion that arises out of this situation is the painful acceptance that the only option available to the Federal Government is the defeat of Boko Haram in this fight against the Nigerian state. I said painful option, because it will mean the loss of more lives and the destruction of public property. Terrorism anywhere in the world is never easily defeated. The NATO with all its powers and modern ammunition has not been able to stop terrorism in Afghanistan. US ran out of Iraq and Somalia. Terrorists are a tough bunch to defeat. I do not see it being different in Nigeria that before now, even basic crimes were difficult to crack. However, the truth is that the government cannot continue to reward violence and expect to have peace. The earlier the Federal government realizes that there is no alternative B in this fight against insurgency, the earlier it would concentrate its resources in defeating this evil that has arisen among us. But maybe there is alternative B after all. This is for the Federal Government to accept that the task of maintaining the internal peace and the territorial integrity of Nigeria is now beyond its control. This will mean calling for a national conference and discussing the best way to restructure the nation or dissolve the Federation into more manageable parts. This is the devils alternative.